When running a motel or hotel, there are many different components that need to be decided on, ranging from property management systems to accounting to web-hosting. There are many options to choose from within each area, all with their own pro's and con's. The resources I am listing below are my go-to solutions for any motel or hotel ranging in size from 10 to 75 rooms. For larger hotels, please contact me and I can give you a more personalized list of solutions to consider. I've compiled a list of resources available on Amazon.com that may be of interest for owners and managers. Some of the books are geared at higher-end operations, but most are general resources for operations of all sizes. If you have recommendations, please let me know. InnQuest are the makers of roomMaster 2000 Property Management System, in addition to other hospitality solutions. It is my go to system for small to medium-sized motels and hotels. Easily to learn and teach to Front Desk Staff, plenty of customizable reports available, and cost-effective. InnLink is a Central Reservation System - website booking engine, GDS distribution, call centre reservations, and much more. The backend system is extremely powerful, and integrates with many of the more popular PMS systems available (including roomMaster 2000). The have a knowledgable team that will help you achieve great success. Mention my name, James McCullough, to get the best deal possible with InnLink. Feel free to use my name even if you don't work with me. Freshbooks is the perfect invoicing solution. This is my recommended solution for motels that do not want to invest the time and energy in learning a computerized Property Management System that would have a built in invoicing system. Freshbooks allows you to send invoices by email or by regular mail, and receive payment online with credit cards. Full customizable with your logo, terms, products, and so forth. Simple to get up and running. HostGator is my preferred service for hosting websites. Signing up includes $100 credit for Google AdWords, and $25 for Bing advertising. That alone makes it worthwhile for a basic hosting plan. Plans start at $4.00 a month when you sign up for a 3-year plan. Unless you plan on going out of business, it is by far the best deal available on the web. A powerful suite of applications complements their hosting package, allowing the installation of blogs, e-commerce, and other powerful websites. Go Daddy is a one-stop home for registerring a domain and hosting a website. I have not had any issues with their services and they offer some of the lowest prices to be found on the web. If you require assistance with getting a website up and running, feel free to contact me. MailChimp is the perfect solution if you want to run an email newsletter campaign. MailChimp is simple to setup, and free. You can customize the newsletter to be a full HTML version, or a plain text one if you wish. MailChimp also provides you with the analytic tools to tell how many people are opening the emails, which links they are clicking on, and more. Check them out. SurveyMonkey is the best option if you need to collect some data from your guests. The free account allows you to ask up to 10 "questions." Each question can be multiple questions grouped together. Paid upgrades allow you to have unlimited questions, share the results with other staff members, and print off the reports amongst other items. 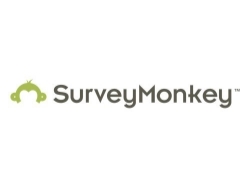 I have created a demo survey to showcase SurveyMonkey's functionality and how it would appear to a guest. Click through and share your opinion with me.